Tech industry leader Samsung has been producing superior-quality electronics and white goods for decades, and the company continues to innovate and create customer-focused products to make your life easier. Samsung refrigerators contain the latest tech innovations and devices to keep your produce fresher and your water pure. 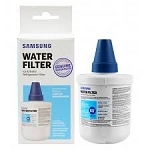 Water filters created by Samsung use high-grade activated carbon block filtration, which not only removes bacteria, viruses, and other contaminants but also removes chlorine tastes and odors, for clean, fresh water every time. To ensure your Samsung water filter produces only the highest-quality water, the filters are tested by NSF International, a widely recognized and highly respected independent product-testing organization, so that you can have peace of mind about the safety of your drinking water. Water Filters Fast stocks a huge range of Samsung water filters to suit most makes and models of Samsung refrigerator. 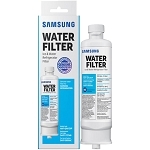 We carry Samsung filters, which use carbon block filtration and can produce half a gallon of pure, fresh water per minute so that your family always has drinking water when you want it. Samsung is constantly innovating and updating its products; as such, many of its early-model filters have been discontinued to make way for its latest state-of-the-art range. For your convenience, we carry Samsung refrigerator filters in the latest short, round configuration to replace any older-style filters from earlier model refrigeration units, so you can be assured that your filter is always functioning optimally. For other older-model fridges, we stock compatible replacement models for discontinued Samsung filters, to make replacing the filter on your early model Samsung refrigerator a breeze. Finally, to accommodate the extensive range of styles and design features of refrigerators and freezers produced by Samsung, we carry a selection of the latest top-mounted refrigerator water filters that can supply an incredible 0.75 gallons of water per minute. If you need to replace your Samsung refrigerator water filter, you’ve come to the right place. 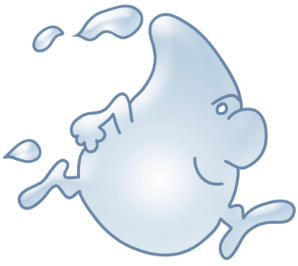 At Water Filters Fast, we have the best range of Samsung water filters, so you can continue to enjoy fresh, clean water.